Info: This limited Nike Dunk SB is inspired by U2’s classic song, Sunday Bloody Sunday. Smooth black leather covers the front, with black and red velvet wrapping the back and a set of red laces to top them off. This release comes in a special white slide out box. 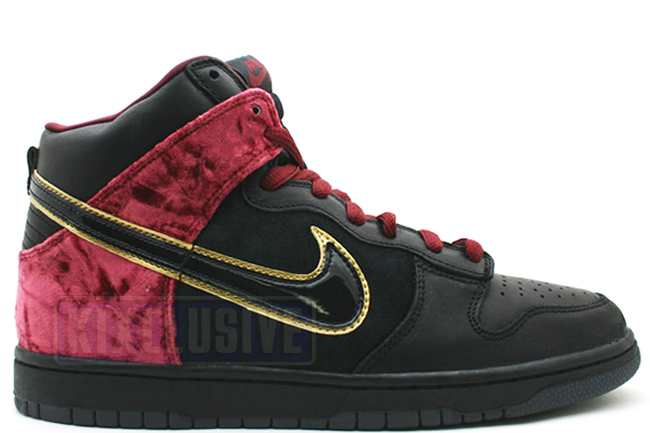 November 2007 Nike SB release.